Where does one begin with exploring one of the world’s top shopping capitals? New York’s five boroughs sprawl for miles and are each home to a unique range of stores, boutiques, pop-up spaces and plenty of designer outlets. The city is also famous for its iconic department stores including the flagship Macy’s outlet in Manhattan. We’ve also put a map together with all the places we mention in the article – and don’t forget to check out our range of New York accommodation if you are planning a visit. Throughout New York there are fantastic department stores offering a huge range of high-end goods, designer wares and exclusive products. 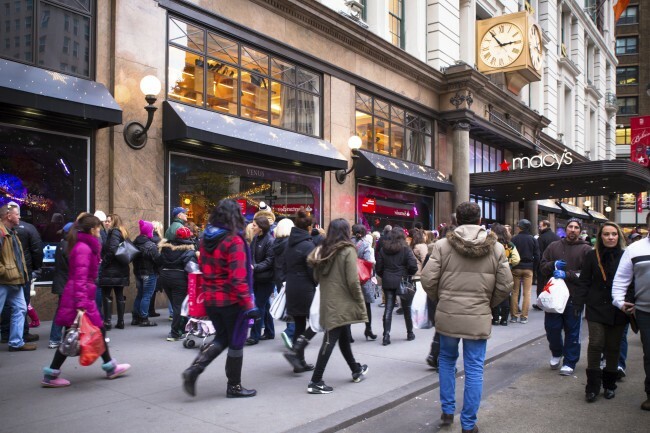 For the fashion conscious, Macy’s on 34th Street stocks all major brands at good prices. Trendy and affordable American brands can be found in Bloomingdale’s department store, which caters for a younger crowd. For a more sophisticated shopping experience, Saks Fifth Avenue offers 10 floors of goods and apparel including dedicated sections for brands such as Louis Vuitton and Chanel. Lower Manhattan’s Century 21 which has been open for 50 years and is hugely popular with bargain hunters. Excellent deals can be found throughout the store but be prepared for a chaotic atmosphere and a scramble for the best finds! 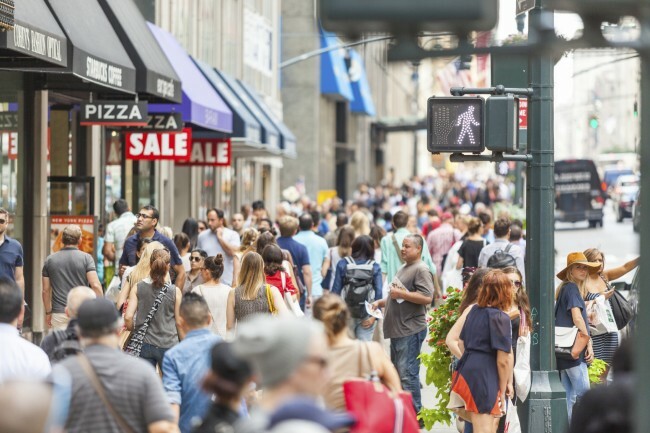 Clothing is one of the most popular things to shop for in New York. It’s a city of up-to-the-minute styles and it’s easy to get caught up in the exciting buzz of fashion conscious New Yorkers. Looking good doesn’t have to cost a great deal and there are plenty of budget clothes shopping options across the five boroughs. Arguably the best place to find places to shop at both ends of the budget spectrum is the district of Soho. American Two Shot is one place that has become increasingly popular in recent years. It’s just opened a coffee shop on the premises too, so you can enjoy a warm beverage in between browsing. Boasting minimalist decor and fresh white walls, Babel Fair offers clothing and accessories from around the globe. Lovers of vintage styles and fashions from bygone years will find a vast array of shops and outlets offering vintage clothing at great prices. New York is a retro heaven! Head to 10 Ft. Single, a vintage mecca which has been open since 2006. There’s a huge range of men’s and womenswear and many racks of old concert t-shirts and leather motorcycle jackets. The homely and welcoming confines of Pippin Vintage Jewelry is the perfect place to browse vintage trinkets such as cufflinks, rings and belt buckles. All the products have been sourced from flea markets and estate sales throughout the city – you’re bound to find a classy alternative to bling here! Everyone knows someone who owns an ‘I Love NY’ t-shirt, but where can these iconic souvenirs be bought? The answer is: everywhere! Most museums have excellent gift stores and there are kiosks selling NYC branded t-shirts and other items of clothing throughout the city. Located at Times Square, Grand Slam New York is an iconic gift shop that stocks a huge range of great New York souvenirs. It’s also extremely good value and you won’t feel like you’re being overcharged. Situated in the Central Valley district of NYC, Woodbury Commons is a premium outlet store park which is well worth the trip to. It is located just 1 hour north of the city and is easily accessible by buses which leave from the Port Authority Bus Terminal. Some of the world’s most recognisable brands including Michael Kors and Ralph Lauren can be acquired for rock bottom prices. There are over 220 stores to discover with products marked down by as much as 50%. Speedy transportation links different areas of the park and shoppers can hire buggies to get them around. Taking the kids shopping in New York doesn’t have to be stressful and there are plenty of enchanting toy stores across the city. Despite the sad and recent closure of FAO Schwarz, the oldest toy store in the US, NYC still offers some of the best toy shops in America. Check out Dinosaur Hill, a store dedicated to pranks, games and tricks. There’s also a wide range of toys and both children and adults alike will find themselves losing track of time inside the store! Another top toy store is Toys R Us which is located on Times Square. By no means a regular version of the global shop, this shop is clearly a kid’s paradise. Spread over 3 floors, the centrepiece of the shop is a huge Ferris wheel at the centre of the shop floor. Keen bargain hunters know that the best places to snap up hot deals is at flea markets. There are such markets to be found all over NYC. 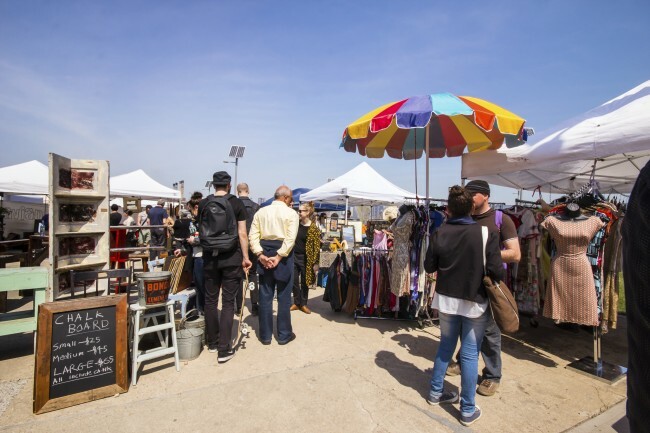 Brooklyn Flea is a popular, open-air market is a lively market which attracts hundreds of vendors and shoppers every weekend. There’s something for everyone to discover amongst the collectible items, vintage clothing and handmade jewelry. Another lively market worth checking out is the famous Chelsea Antiques Garage, which also takes place on weekends. It is part of the Annex/Hell’s Kitchen Flea Market and is spread over 2 floors. There are a huge range of antique goods and items of furniture for sale. 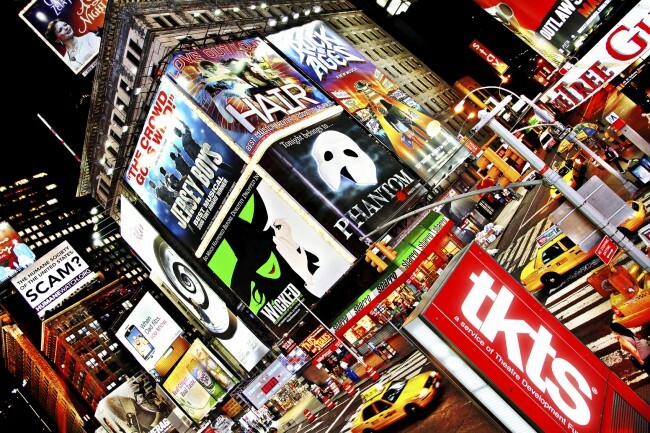 Hoping to not break the bank on a trip to the big apple? You’ll find plenty of opportunities to shop on a budget. Visit the Housing Works Bookstore Cafe which stocks many discounted titles – all proceeds go to good causes too! American Apparel’s factory outlet in SoHo offers all the usual favourite clothing items at excellent prices. Customers who like recycled clothes will find that Beacon’s Closet in Brooklyn is a must-visit. It’s a hugely popular spot with locals and there’s plenty of discount vintage clothing to uncover. 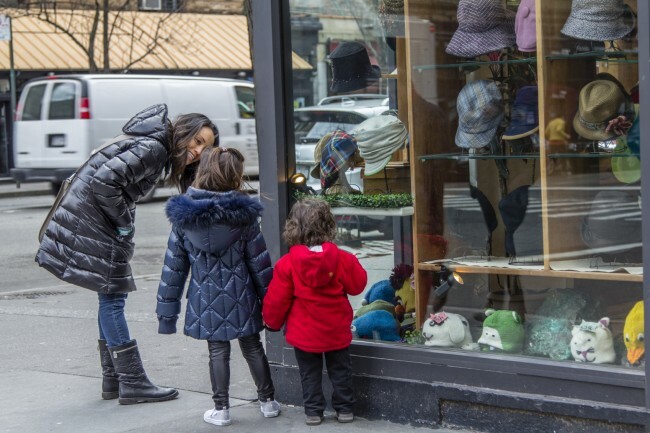 Learn about how to shop like a savvy local by taking the popular SoHo & NoLita Shopping Tour, which passes through two of NYC’s trendiest and hip neighbourhoods. You’ll learn about what it’s like to live in both SoHo and NoLita and discover shops you’d otherwise overlook. You’ll need your wits about you when navigating New York and we recommend you download a good map app on your smartphone or tablet. Ulmon’s New York Travel Guide and Offline Map is our recommended pocket companion! Got a few hours to spare? Take a look at our guide on things to do in New York on a budget for inspiration.